Many extracts can be found throughout the manual, but this section provides more complete examples. // USAGE: TCA Reference > $GLOBALS['TCA'] array reference > ['columns'][fieldname]['config'] / TYPE: "select"
First of all, the fields that we want to add are detailed according to the $GLOBALS['TCA'] syntax for columns. This configuration is stored in the $temporaryColumns array. 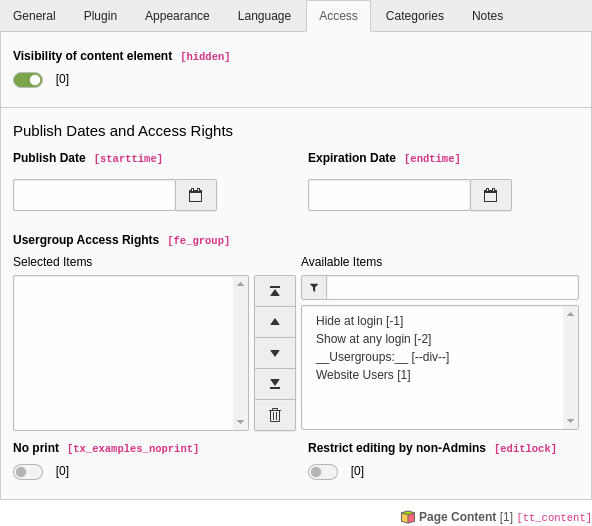 first the columns are actually added to the table by using \TYPO3\CMS\Core\Utility\ExtensionManagementUtility::addTCAcolumns(). 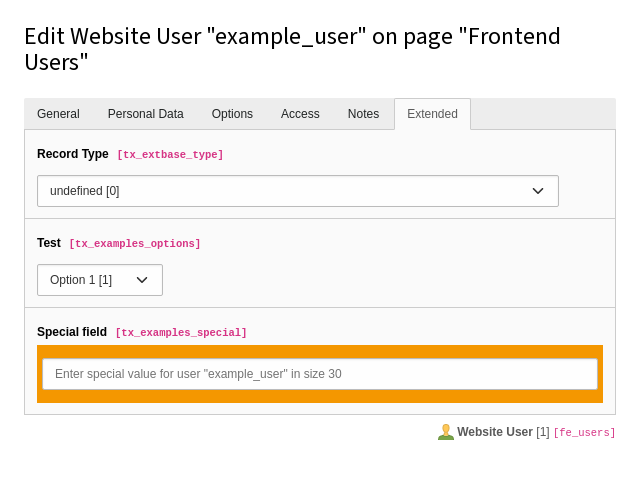 then the fields are added to the "types" definition of the "fe_users" table by using \TYPO3\CMS\Core\Utility\ExtensionManagementUtility::addToAllTCAtypes(). It is possible to be more fine-grained. The above statement uses the SQL CREATE TABLE statement. This is the way TYPO3 expects it to be. The Extension Manager will automatically transform this into a ALTER TABLE statement when it detects that the table already exists. The next example shows how to place a field more precisely. The code is mostly the same as in the first example, but the last line is very different and requires an explanation. The "pages" and "tt_content" use palettes extensively for all fields and not just for secondary options, for increased flexibility. So in this case we use addFieldsToPalette() instead of addToAllTCAtypes(). We need to specify the palette's key as the second argument (visibility). Precise placement of the new field is achieved with the fourth parameter (after:linkToTop). This will place the "no print" field right after the "link to top" field, instead of putting it in the "Extended" tab. Obviously this new field will now magically exclude a content element from being printed. For it to have any effect, it must be used during the rendering by modifying the TypoScript used to render the "tt_content" table. Although this is outside the scope of this manual, here is an example of what you could do, for the sake of showing a complete process. This will wrap a "div" tag with a "noprint" class around any content element that has its "No print" checkbox checked. The final step would be to declare the appropriate selector in the print-media CSS file so that "noprint" elements don't get displayed. This is just an example of how the effect of the "No print" checkbox can be ultimately implemented. It is meant to show that just adding the field to the $GLOBALS['TCA'] is not enough.